Agriculture, growth and jobs: what role for the CAP? Europe’s agri-food industry provides 46 million jobs in 15 million businesses, accounting for 6% of the EU’s GDP. 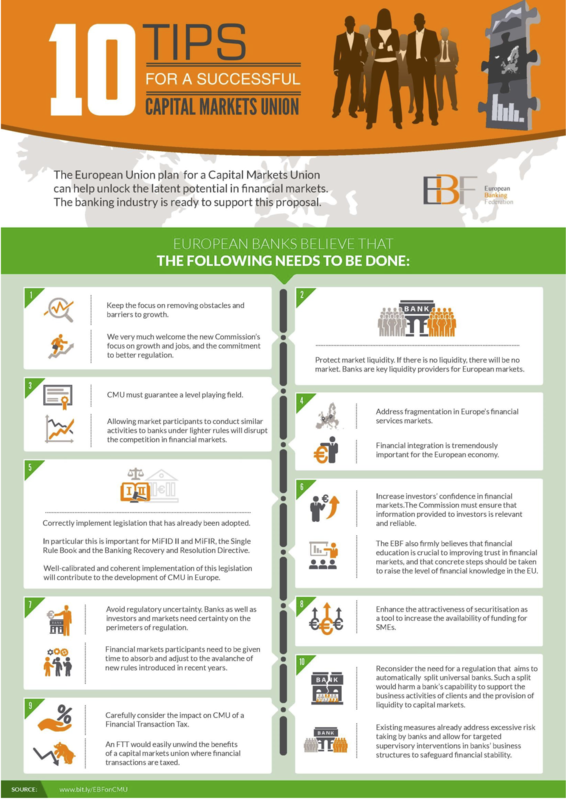 The European Union plan for a Capital Markets Union can help unlock the latent potential in financial markets. The banking industry is ready to support this proposal.